This week has been a VERY excited and tiring one for me, as I finally started my makeup artist course! After two years of researching and desperately wanting to do a course like this I have taken the plunge, and am doing what I want to do. The organisation was all a bit last minute to be honest, I feel like I literally took the plunge. A received an email a few weeks ago to say that there were a few free spaces on the four week Film, TV and Theatre makeup course, and I knew it would be perfect for me. For the next four week's I'm going to be rounding up what I have learnt, including lots of pictures for you all! The first day was mainly all about getting us used to putting makeup on someone else's face, so we focused on getting the perfect base, and then a basic eye. We were also given our makeup and hair kits, which was really exciting! 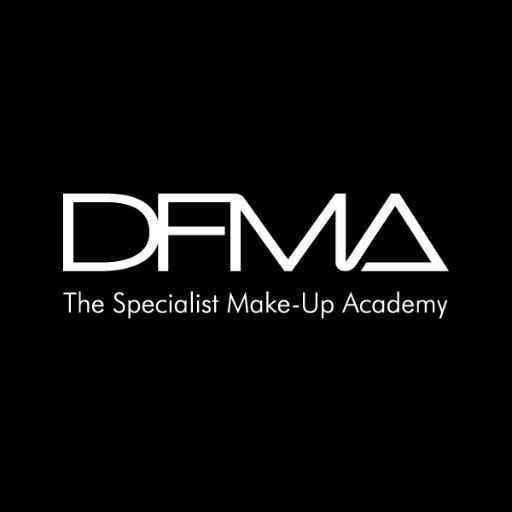 We had a mix of SFX and standard makeup in our kit, and I will be doing a full list of what we got when I have completed the course, as at the moment my kit is up in London, and I can't remember the exact names and colours of things off of the top of my head! As there are nine of us on the course, we have to take it in turns to work in a three, this meant we only got the chance to do half a face for the day, but I was still pretty happy with how mine turned out when you compare both the sides. Especially as this was the first time I had ever done makeup on someone else. The day always starts off with our tutor giving a demonstration of the class, and we all made sure to take lots of photos to use for reference. Here is my completed look! My eyeliner is absolutely terrible, and I will be practicing that to death this weekend, but other than that I was fairly happy with this look. First off I had my makeup done for me by one of the other students, and I was really happy with the finished result, I even wore the makeup home, despite getting funny looks on the tube. Close up of completed Smokey Eye. To be honest this was not my finest day, I was happy with the finished product eventually, but I really struggled with this. It was my first time ever doing a smokey eye, and I know that practice makes perfect, so I will be working on this a lot! Once the cut was completed we moved on to three different blow-drying techniques. The first was a straight blowdry, the second a blowdry with volume and curled ends, and the third was blow drying curls into the hair. The first two kinds of blow dry I was OK with, and I actually really surprised myself, it was only when it came to the curly blowdry that I got stressed out. I kept getting my brush stuck and the hair just wouldn't curl in places. I persevered though and I was so please that I got it completed. Then we got to a day that I was really looking forward to, special effects makeup! Today was all about transforming our partners firstly to look sick, and then secondly to look like a dead body that had been found after 24 hours. I was the tutors model for the demonstration and see made me look dead and then had me lay on the floor to demonstrate how you would set the scene for your artist. Everyone was pretty freaked out by this makeup, and when I put the picture on Facebook my mum didn't like it which made me laugh! We started out with the sick makeup look, this was more of a subtle look, and was just supposed to make our models look unwell. We also got to use a really cool piece of kit called a tear stick, and it basically makes your actors eyes red and can even make them cry! Then we got to move onto the dead makeup, which was the most fun part of all. I was really nervous about painting the veins onto the face as I had never done anything so detailed before and it wasn't easy, but when I saw the final product I was so excited. It really make me feel like I am doing the right thing, and like this is what I am supposed to do! All in all my first week was a good mix of amazing and terrifying, and I think the pictures really show that I am progressing well in the course, there is plenty more to come next week, so watch this space! Sounds like you are having a great time and learning loads!